BOULDER, Colo. (NASA PR) — Today, NASA’s MAVEN spacecraft celebrates four years in orbit studying the upper atmosphere of the Red Planet and how it interacts with the Sun and the solar wind. 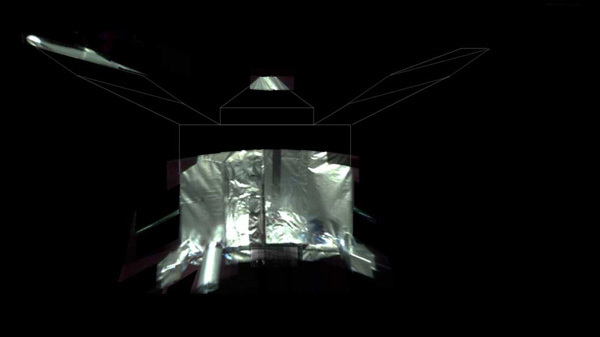 To mark the occasion, the team has released a selfie image of the spacecraft at Mars. WASHINGTON (NASA PR) — In 2015, NASA explored the expanse of our solar system and beyond, and the complex processes of our home planet, while also advancing the technologies for our journey to Mars, and new aviation systems as the agency reached new milestones aboard the International Space Station. President Barack Obama is on a state visit to India. The U.S. and Indian governments released a joint statement focusing on areas of cooperation, including enhanced cooperation in space. The following are excerpts from the statement. 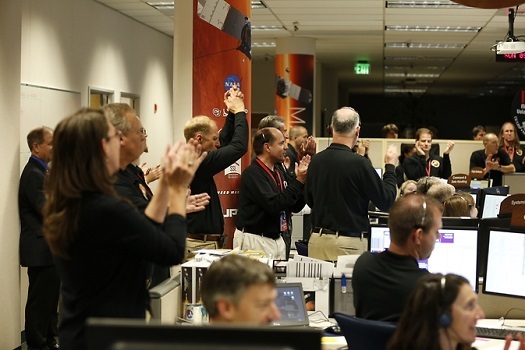 WASHINGTON, DC (NASA PR) — NASA’s Mars Atmosphere and Volatile Evolution (MAVEN) spacecraft successfully entered Mars’ orbit at 10:24 p.m. EDT Sunday, Sept. 21, where it now will prepare to study the Red Planet’s upper atmosphere as never done before. 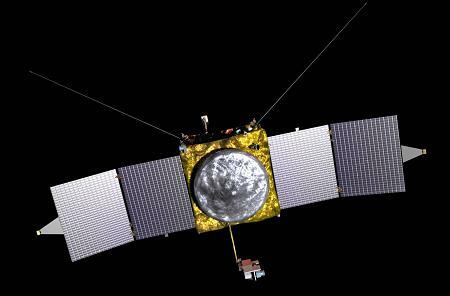 MAVEN is the first spacecraft dedicated to exploring the tenuous upper atmosphere of Mars. Mars is the centerpiece of NASA’s planetary exploration. 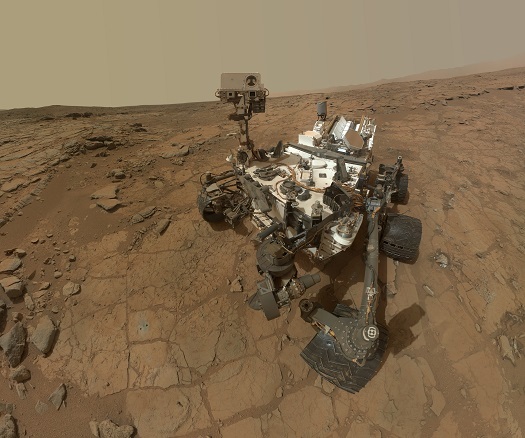 The Curiosity rover continues to explore the planet, and in its first year already has accomplished its primary goal of determining that Mars could indeed have supported life in the past, possibly much later than originally thought. Curiosity’s Radiation Assessment Detector instrument is helping scientists assess round-trip radiation doses for a human mission to Mars. 2. Tuesday, Dec. 10, 2013, 7-8:30 PM PST (10-11:30 PM EST, 9-10:30 PM CST): We welcome back DR. WENDELL MENDELL. Dr. Mendell is a planetary scientist at NASA JSC. We will be discussing the Moon and much more during this program. 3. Friday, Dec. 13, 2013, 9:30-11 AM PST (11:30- 1 PM CST, 12:30PM-2:00 PM EST): We welcome DR. DAVID BRAIN to the program to discuss the MAVEN mission, Mars, and more. 4. Sunday, Dec. 15, 2013, 12-1:30 PM PST (3-4:30 PM EST, 2-3:30 PM CST). We welcome back ERIC LERNER of Focus Fusion. We will be discussion fusion energy updates with our guest. The launch teams are starting the steps to load about 50,000 gallons of liquid oxygen into the first stage of the Atlas V. The lines and tanks have been chilled to accept the minus-297 degree propellant. About 26,000 gallons of refined kerosene, or RP-1, flowed into the first stage fuel tanks during the wet dress rehearsal a couple of weeks ago. Since kerosene doesn’t have to be kept cold the way the cryogenic liquid oxygen and liquid hydrogen fuel for the Centaur do, the fuel stayed inside the Atlas tank. Forecasters from the U.S. Air Force 45th Weather Squadron continue to predict a 60 percent chance of favorable weather for the launch of NASA’s Mars Atmosphere and Volatile Evolution (MAVEN) spacecraft at 1:28 p.m. EST Monday from Cape Canaveral Air Force Station Space Launch Complex 41. 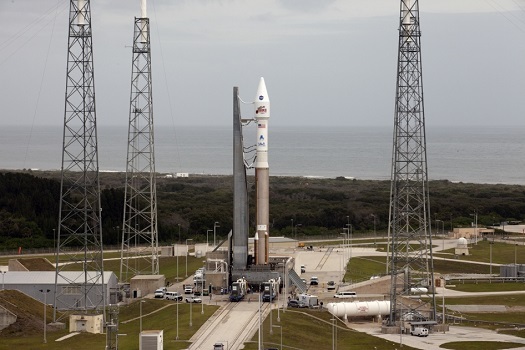 MAVEN is scheduled to liftoff atop a United Launch Alliance Atlas V at the beginning of a two hour launch window. Teams are working no technical issues and the countdown is targeted to pick up from the T-6 hour, 20 minute mark at 6:28 a.m. Monday. Five NASA centers in Washington, Maryland, Mississippi, Alabama and West Virginia will host events and activities Monday, Nov. 18, for the public to view the launch of the agency’s Mars Atmosphere and Volatile Evolution (MAVEN) spacecraft and learn about its mission. SpaceX will attempt to put its first communications satellite into geosynchronous orbit using its upgraded Falcon 9 rocket (Monday, Nov. 25 at 5:37 pm EST — Cape Canaveral, Florida). 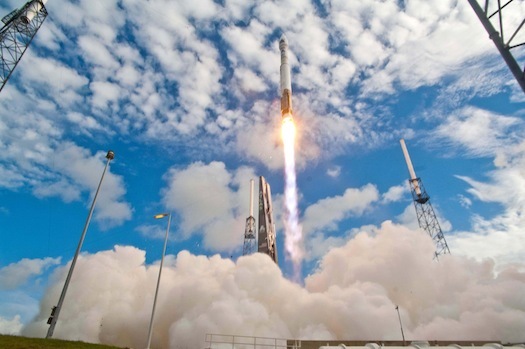 Three additional launches will take place from Russia and Kazakhstan over that 7-day period. A table with all scheduled launches is below along with a map showing East Coast residents how they can view Minotaur I’s night launch on Tuesday. Video Caption: Ancient riverbeds, crater lakes and flood channels all attest to Mars’s warm, watery past. So how did the Red Planet evolve from a once hospitable world into the cold, dry desert that we see today? One possibility is that Mars lost its early atmosphere, allowing its water to escape into space, and NASA’s Mars Atmosphere and Volatile EvolutioN (MAVEN) spacecraft will investigate just that. On September 25, 2013, MAVEN Principal Investigator Bruce Jakosky delivered a presentation at the Smithsonian National Air and Space Museum, discussing NASA’s next mission to Mars. Space agencies around the world are planning to launch four missions to other worlds this year, evenly split between the moon and Mars. 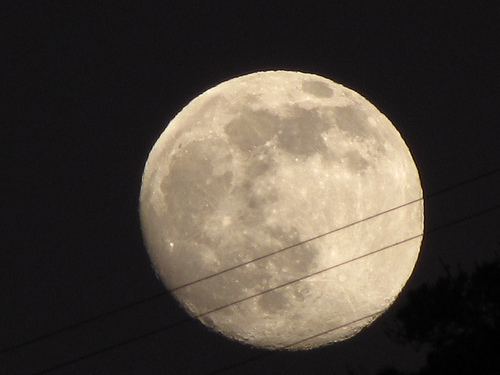 NASA will orbiters to each destination, while China will attempt to become only the third nation to soft land on the moon. India also looks to make history with its first mission to Mars. “The price of the probe increased by $10 million, its launch was postponed by two years, and the science-gathering mission will be cut in half to one year, an official said. NASA chose the University of Colorado’s [MAVEN] proposal to study the Martian atmosphere from 20 other ideas to study Mars that were trimmed to just two before a conflict of interest was declared. NASA has selected a Mars robotic mission that will provide information about the Red Planet’s atmosphere, climate history and potential habitability in greater detail than ever before. Called the Mars Atmosphere and Volatile EvolutioN (MAVEN) spacecraft, the $485 million mission is scheduled for launch in late 2013. 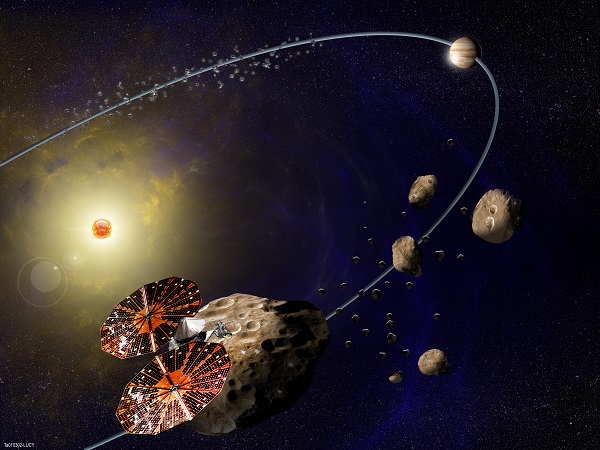 The selection was evaluated to have the best science value and lowest implementation risk from 20 mission investigation proposals submitted in response to a NASA Announcement of Opportunity in August 2006.